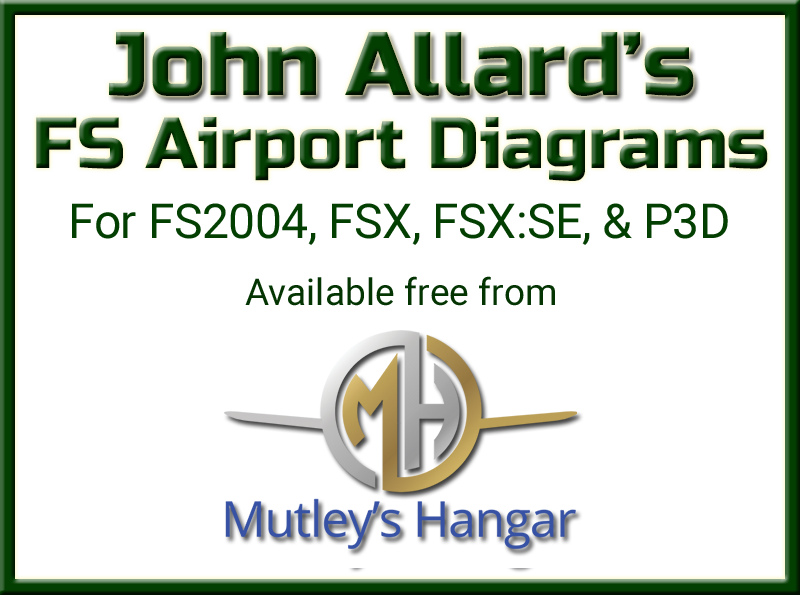 Mutley's Easter Bunny Air Rally is an autonomous event that is run by Mutley's Hangar and our own Rally Committee. The event draws upon the base concept and rules in the Great Air Rally Grand Prix series, but with variations to provide event differentiation and diversity. Yes, unfortunately, there is a need to have rules to successfully conduct events such as the MEBAR. The MEBAR is intended as a fun event and is open to everyone who is interested in virtual flight. Please take the time to read the rules. Registration in the event is interpreted as acceptance of the rules. 1. The MEBAR will be officially conducted over the period 19th April - 27th April 2019 and will involve a total of five Flight Legs. The MEBAR is not a race nor a competition! It is an event in which individuals participate against their own flying ability by navigating over a series of Flight Legs on which they are aiming to maintain a Target Cruise Speed (measured as ground speed) for the aircraft category of their selected aircraft. Flight Legs can involve either, and / or, a combination of VOR, NDB and dead reckoning navigating under Visual Flight Rule (VFR) and / or Instrument Flight Rule (IFR) conditions with variable departure times and weather conditions. 2. The event is conducted using MSFS versions FS9, FSX, or Lockheed Martin P3D. These are the only officially supported flight simulators for the event. Participants wishing to use X-Plane for the event are welcome to do so, but the necessary downloads and files required are not provided in an X-Plane format. Additionally, the availability of extra scenery files is also very limited. 3. Participants may fly any single or twin piston engine or turboprop engine aircraft of their choice. Turbojet, turbofan and other such engined aircraft are not eligible for entry in the event. 4. It is the responsibility of individual participants to ensure their nominated aircraft is suitable for use in the MEBAR. Requests to change to another aircraft type once the event has begun is strictly at the discretion of the Rally Committee. Other considerations will include the Flight Leg distance and runway surface. This information can be found under the "Flight Schedule" link. The consideration of possible weather conditions is also important in the choice of aircraft. 5. It is highly recommended, but not mandatory, that aircraft have both a VOR and NDB navigation capability. Additionally, a DME capability would also be useful. Whilst it is intended and highly encouraged that these be the primary instruments of navigation, it is acknowledged that some participants may find the event too challenging. Therefore, the use of GPS, FSNavigator, Plan-G or other such navigation aids is not precluded. 6. Each participant's chosen aircraft is allocated to an Aircraft Category for the event. The allocated Aircraft Category is based on the performance specifications for the participant's chosen aircraft. It also takes into account the weather conditions to be encountered on the Flight Legs. The allocated Aircraft Category for each participant will be displayed on the Pilot Roster under the "Pilot Roster" link and also on the Results under the "Target Speeds & Results" link. 7. The Target Cruise Speed (measured as ground speed) for each Flight Leg is determined on the basis of the Aircraft Category a participant's chosen aircraft is allocated to. Based on the Target Cruise Speed, a blind Target Time is calculated for each Aircraft Category for each Flight Leg. The blind Target Time includes additional time elements for the "climb to cruise" and "landing circuit" phases of each Flight Leg. The Test Flight time submitted during the Pilot Registration process is used to validate the allocated Aircraft Category and to identify any gross performance discrepancies. The details for the Test Flight are contained under the "Test Flight" link. The Target Cruise Speed for each participant for each Flight Leg will be displayed under the "Target Speeds & Results" link. 8. Pilot Registration for the event will open upon the opening of this web site. Prior to registering, complete the Test Flight as per the instructions under the "Test Flight" link. Pilot Registration closes at 23:59 UTC Thursday 18th April 2019. 9. Persons wanting to participate in the event must complete and submit the application under the "Pilot Registration" link. All applications must be completed fully. Incomplete applications will not be processed. On acceptance, each participant will be allocated an ID number which MUST be quoted in all PIREPs and correspondence. It is not intended to issue registration confirmation emails. Participants can confirm their registration in the event by checking for their name on the Pilot Roster under the "Pilot Roster" link. It may take up to three days for a name to appear on the Pilot Roster. 10. Participants can submit multiple entries for the event, flying different aircraft. A separate Pilot Registration is required for each entry. 11. A series of downloads are required to participate in the event. These downloads set up standard flight parameters for weather and departure time for each Flight Leg and provide necessary navigation instructions and weather briefings for each Flight Leg. All necessary downloads are available under the "Downloads" link. 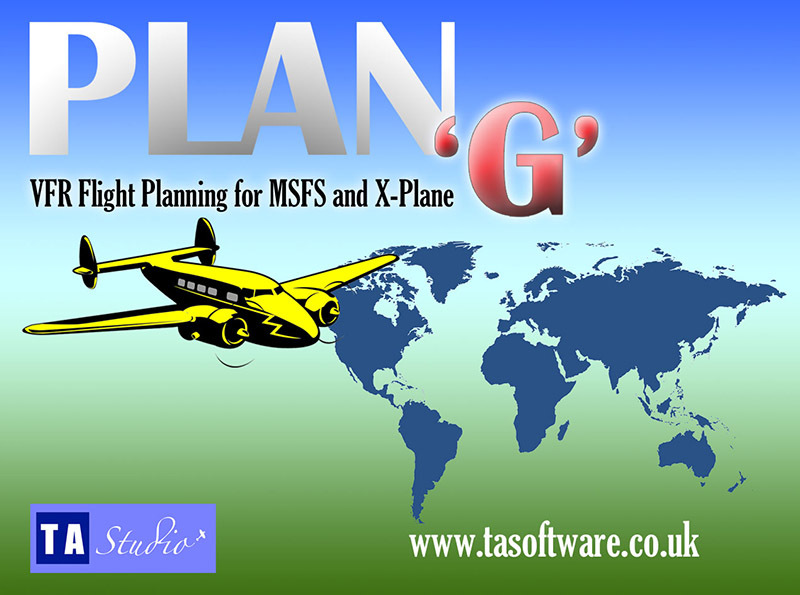 Additional links are also provided to excellent resources, both free and payware, including the exceptional Plan-G flight planning software. Plan-G is freeware but I am sure you will consider making a donation to help fund future development. These additional downloads are also available under the "Downloads" link. 12. Participants must file a separate PIREP for each Flight Leg by 23:59 hrs UTC on the date specified on the Flight Schedule. Any participant failing to file a PIREP within the specified time period will be declared "Withdrawn". Participants may fly and submit PIREPs in advance of the time and date specified in the Flight Schedule. Results from PIREPs submitted in advance will not be posted until after the respective Flight Leg specified reporting date. 13. All PIREPs are to have times submitted in minutes rounded to two decimal places. For example, a flight of 1 hr 2 mins 56 secs would be submitted as 62.93 mins. It is recommended that you download and use Tom Goodrick's FTime from the link on the "Downloads" page. It records time from when the aircraft reaches 35 knots on take-off until it decelerates to below 35 knots on landing. Alternatively, you may record the time using a panel clock, but convert the seconds to decimal minutes, i.e. 30:45 on a clock would be 30.75 minutes. The use of external clocks, watches, etc., is prohibited. All timers must be internal to the flight simulator. 16. The Proficiency Rating system involves a participant starting each Flight Leg with 100 points. The actual time flown for each Flight Leg, as submitted in the PIREP, is compared to the respective blind Target Time and for each percentage point difference, a point is deducted. For example, the blind Target Time for a Flight Leg is 50 mins, the actual time flown is 52 mins, therefore the Proficiency Rating for the Flight Leg is 96 points. Conversely, using the same example, but where the actual time flown is 46 mins, the Proficiency Rating for the Flight Leg is 92 points. The Proficiency Ratings for each Flight Leg will be accumulated over the entire rally. All Proficiency Ratings will be calculated to four decimal places and rounded to two decimal places. 17. The results will be updated ASAP after the closing time for each Flight Leg. However, the organisers do not guarantee that updates will be applied within any particular timeframe. 19. The organisers have provided a forum where participants in the MEBAR may leave comments, however, due to limitations of software integration, you will need to register separately if you want to use this free facility. 20. Pilots are encouraged to use this forum for messages, etc., for other pilots and / or generally discuss their progress in the event. This forum should not be used as a means for formally contacting the organisers with official queries or messages. It can also be used to post screen shots of your flight(s) if you wish, but is not obligatory. 21. All official correspondence relating to the MEBAR should be addressed to the MEBAR Rally Committee using the Contact link. 22. The MEBAR is intended purely as a fun event for all participants. There is no obligation, legal or otherwise, on the part of the organisers to conduct this event to its conclusion. The organisers cannot be held responsible for any matter or thing which may arise from the conduct of this event. 23. The decision of the Rally Committee, on any matter concerning this event is absolutely final, and no correspondence or other communication will be entered into.